The workshop will take place on Wednesday 21 November, with registration starting from 15:30, and sessions lasting until approximately 18:00. After this there will be walking dinner and drinks, and the doors will close at around 21:00. 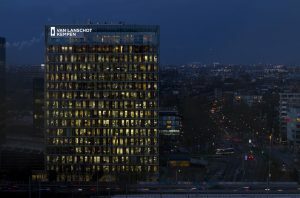 It will be held at the Ernst & Young headquarters in Amsterdam (Antonio Vivaldistraat 150, 1083 HP Amsterdam), which is at walking distance from the train/metro stations Amsterdam RAI and Amsterdam Zuid. Following the pre-announcement distributed earlier, this constitutes the official invitation to participate. The format will be similar to that of the TopQuants Autumn workshop held in 2011, i.e. there will be two slots each offering several parallel sessions. You will have the opportunity to attend one parallel session in each slot. You will find an overview of the sessions offered here. Your preference for these sessions should be indicated in your registration form. We will accommodate your preferences on a “first come first served” basis. Experience shows that popular sessions are booked out fast. So please register now in order to get into the session you are most interested in. Please complete this registration form before November 10, 2012 to register your participation and to let us know your preferences for the sessions. A confirmation will be sent soon after the registration has closed. TopQuants Autumn Workshop 2012 – Why should I attend? Are you interested in technical quant topics? Would you like to know more about what regulation does and how it will impact the work of quants in the Netherlands? Are you curious to hear how quantitative topics are viewed by quants at other banks, financial institutions or academia? Do you appreciate networking opportunities? The TopQuants Autumn Workshop aims to provide you with just this! It will offer two rounds of parallel sessions. Each parallel session will last for just under an hour. At the start of each session, speakers will provide a brief introduction before going into more technical details. The presentations will be followed by a discussion between all session participants, including the speaker(s). To facilitate the discussion, sessions will be attended by a session host. To conclude the event, there will as usual be complimentary drinks and walking dinner with plenty of networking opportunities for all participants. We are very grateful that Ernst & Young has once again agreed to host a TopQuants event after the interactive symposium that was held there back in 2011, and are sure that their headquarters will provide a stimulating and interactive setting for all participants. So please do not delay, but register today! Feel free to forward this invitation to colleagues who you believe might be interested in attending the event, but are not necessarily yet on our mailing list.